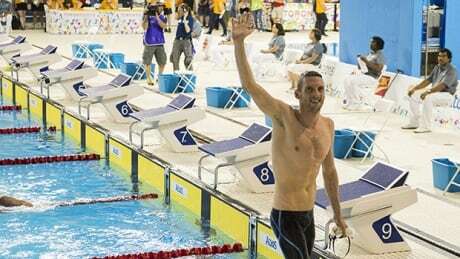 On the final night of swimming at the Pan Am Games, Olympic medallist Ryan Cochrane won gold in his signature event and set a meet record in the process. 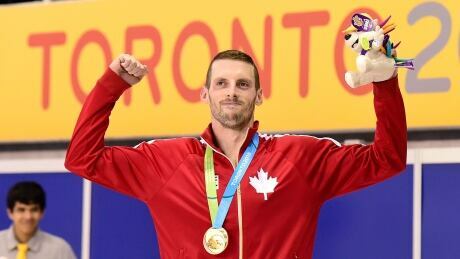 Canada's Ryan Cochrane won his second gold medal of the Toronto Pan Am Games on Saturday night, winning the men's 1,500-metre freestyle. CBC Sports spoke with Byron MacDonald, a former Olympian and now the University of Toronto swimming coach and CBC's swimming analyst, about the controversy on Day 6 of the Pan Am Games. 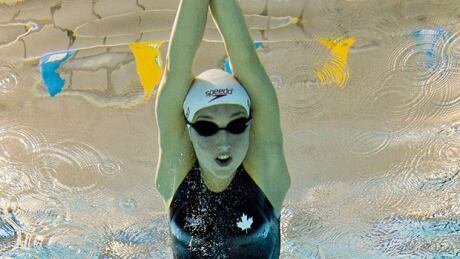 Canada added its sixth and seventh Pan Am gold medals in swimming Friday night as Ryan Cochrane and Emily Overholt won the men's and women's 400-metre freestyle events. Zsofia Balozs, a rookie with the Toronto Police Service, is living her lifelong dream of being a police officer and she is not convinced she has the time it takes to train to remain a high-level athlete. Canada could benefit if Fiol is stripped of his medal as Zack Chertat's bronze would be upgraded to silver while teammate Alec Page would move up to third place. In a strange turn of events on the third night of swimming at the CIBC Pan Am Aquatic Centre, the winners of both the men's and women's 400-metre individual medleys were disqualified for a "non-simultaneous touch" and a third DQ was issued to the Mexican women's 4x200m relay team that didn't factor into the medals. Nineteen Pan Am swimming marks have already fallen with two meet days still to come in Toronto. Here's why. For a few minutes, Emily Overholt thought she was a Pan Am gold medallist in the women's 400m individual medley. But the 17-year-old Canadian was quickly stripped of her title after officials ruled she made an illegal turn, resulting in a disqualification. 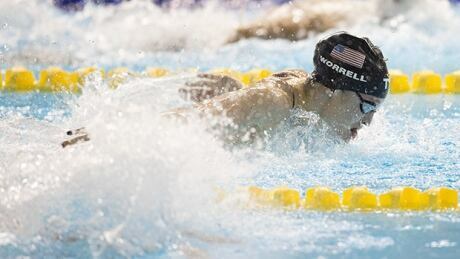 Some might feel disappointed after losing a race by 0.13 of a second, but Canadian swimmer Martha McCabe was just happy to be competing at all and came away thrilled by her silver medal in the 200-metre breaststroke Wednesday night at the Pan Am Games. You are currently browsing the archives for the Sports/PanAm (Actual)/Swimming category.